Check out our FOUR-STAR Charity Navigator rating HERE. Click HERE to learn more about what your donations can do! We are here to help you in your fundraising goals and have numerous resources to help you! Website Guide -- Learn all about how to customize your individual and team pages, plus see all the tools you have to get the most out of your page! Click HERE to download our guide! PAWS Chicago Paw Print Cards -- display the names of your donors at work or ask a local business to "sell" these cards for a $1 donation and then post in their store! You can download and print these cards by clicking HERE! 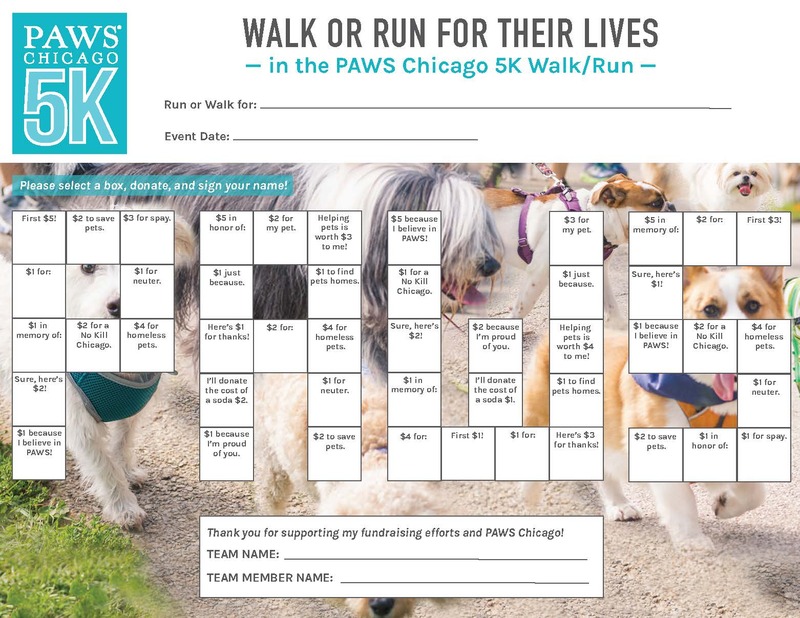 PAWS Chicago 5K Fundraising Card -- This is another great resource to help you raise $100! Each square is "worth" between $1-$5. Print out this card, take it to family and friends, ask them to select a square(s) and donate that amount. When the card is full, you'll have raised $100! You can download and print these cards by clicking HERE! Offline Donation Form -- Ensuring your offline donations find their way to your fundraising page is easy when you include the Offline Donation Form with your checks. Simply place your name on the top of the form and include the name of the donors and donation amounts, one per line, on the form. 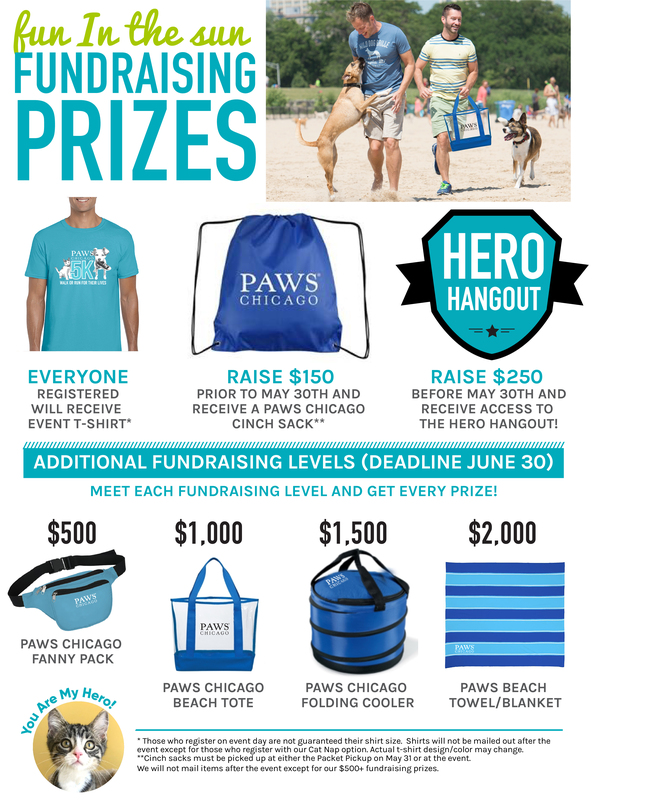 Send the form along with checks to: PAWS Chicago, Attn: PAWS 5K, 1933 N Marcey St, Chicago, IL 60614 and monitor your fundraising page. You can download and print the form by clicking HERE! The TWO top fundraising TEAMS by May 30 will receive their own 10x10 tent at the PAWS 5K! We will also provide one table and 2 chairs -- this will be a great spot for you to hang out with your team and you can decorate as you wish!